Normania and Triguera comprise two genera of the Solanaceae whose affinities have been uncertain. Normania encompasses two species endemic to Macaronesia; Triguera is monotypic and found in Spain and northwestern Africa. Both have slightly zygomorphic flowers and horned anthers that dehisce by both apical pores and longitudinal slits. Micromorphological similarities include trichotomously colporate pollen grains and seed surface cells with radially thickened extensions. Molecular data from the chloroplast ndh F gene and the nuclear ITS region establish that Normania and Triguera are nested within the large genus Solanum, where together they form a well supported clade. However, the relationship of this clade to other Solanum subgroups is not resolved. Transfer of the Normania and Triguera epithets to Solanum is made, necessitating one new name. 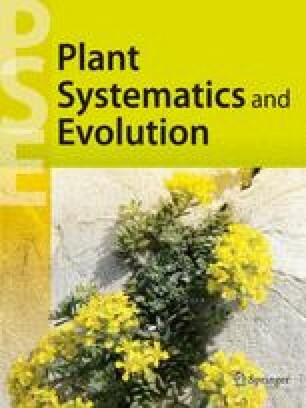 The molecular data confirm that the species of Solanum endemic to Macaronesia belong to two distinct clades, each showing an independent evolution of heteromorphic anthers. Key words: Normania Triguera Solanum Macaro-nesia ndhF ITS.